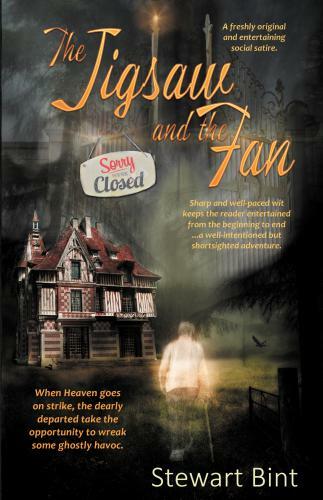 When Heaven goes on strike, the dearly departed take the opportunity to wreak some ghostly havoc. Described as "A freshly original and entertaining social satire - sharp and well-paced wit keeps the reader entertained from beginning to end." A strike prevents a dead trades unionist taking his place in the afterlife. He returns to Earth to haunt a stately home, and angry that the wealthy owner makes money from visitors, sets out to frighten them away. A pair of roguish guardian angels look upon the whole proceedings, but they are more concerned with their own battle of wits raging across eternity than they are with the well-being of their unwitting pawns on Earth. She looked back over her shoulder, one last glance at the grave. "Goodbye my love.God bless."